Keeping it local, greensplash was enlisted by Cheshire West and Chester charity, Brightlife, to make a real difference. 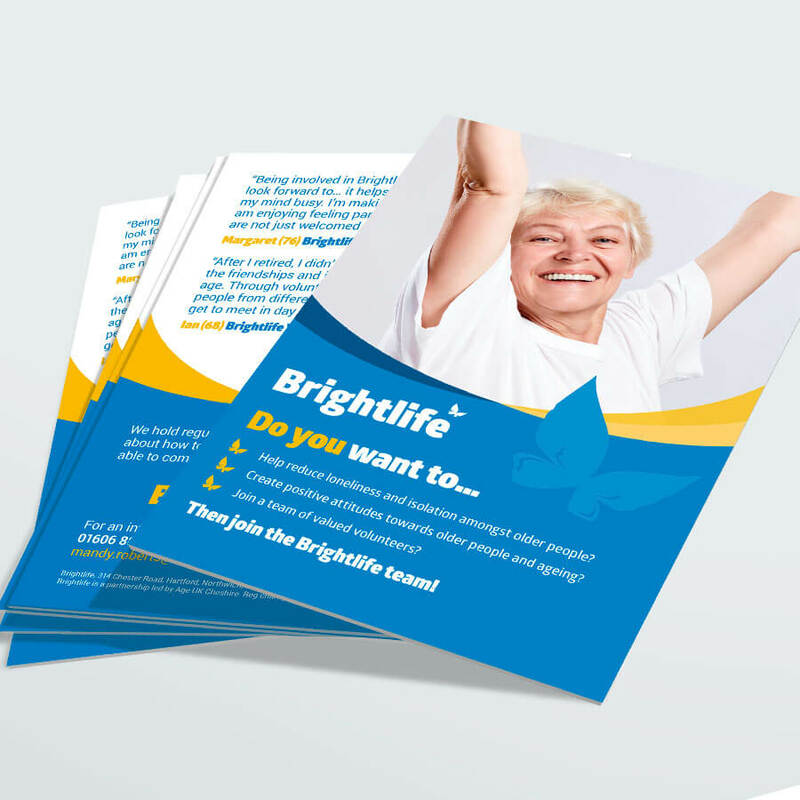 Brightlife, a charity within the community of Cheshire West and Chester approached greensplash to help them tackle their brand and better portray their initiative to combat loneliness in our increasingly ageing population. A user-friendly site designed for a captive audience with a call-to-action that would work towards reducing social isolation amongst the elderly. 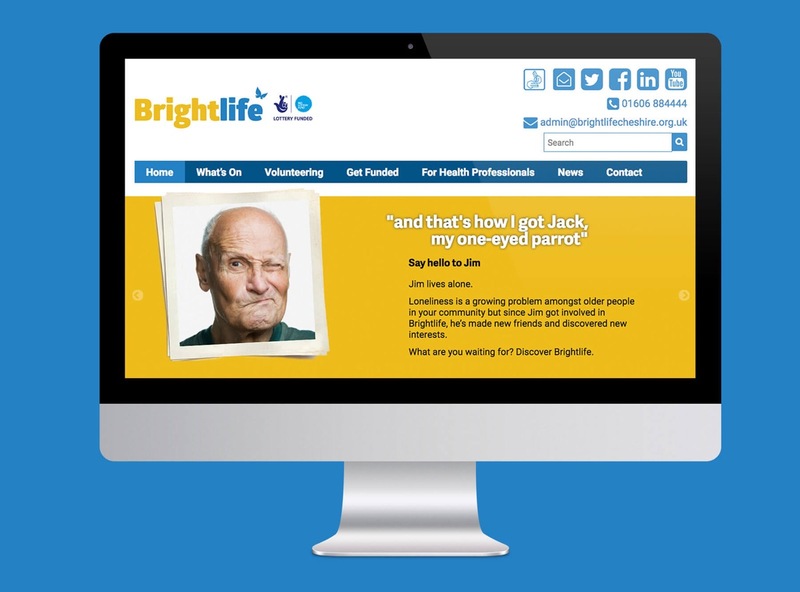 Brightlife needed to increase their online presence further with a comprehensive website that showcased their unique services. To ensure results, greensplash created a bespoke website with ease of use for the visitor, responsive technology and tailored functionality, as well as poignant imagery to capture the charity’s mission and engage users. To complement the online branding, greensplash created a variety of additional marketing material in alignment with the Brightlife visual identity. From branded pull-up banners and informative posters, to comprehensive print material and stationery, a full selection of business collateral now showcases the charity’s brand and message in a creative and captive manner. 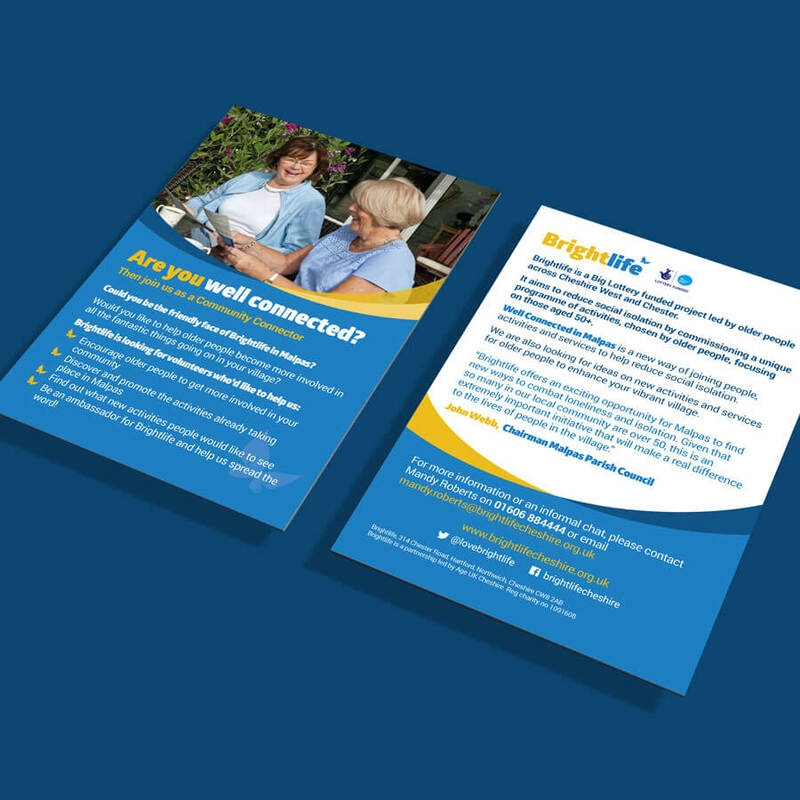 Whilst known amongst local circles, Brightlife needed a push to help them gain greater recognition further afield; their message needed to be correctly conveyed, understood and actioned. They required a presence that would make the public aware of the services they offer, and an online “following” that would come together to help make a difference. 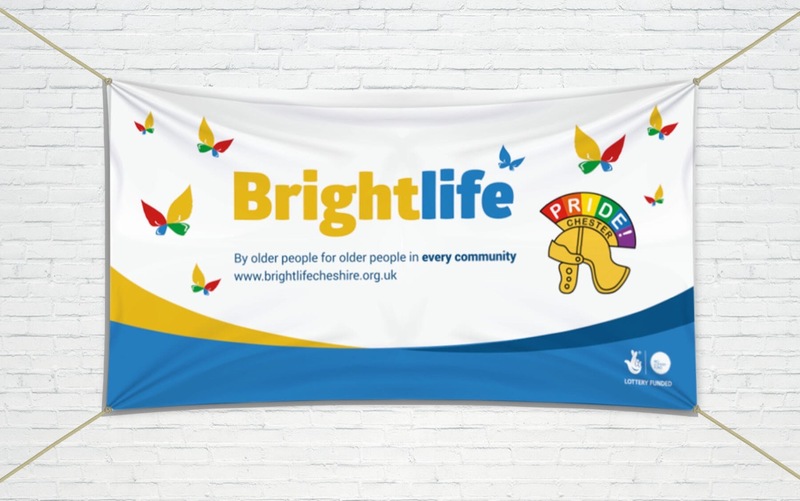 With a target market of over 50’s, through its communications, Brightlife was striving to support a range of innovative and engaging projects, activities and networks to help create a better life for those residing across the borough. As such, their identity needed to appeal to this demographic, and their message needed to be clear and concise. In the first instance, they required a microsite. With the microsite live within a few weeks and beginning to generate the desired results, Brightlife approached greensplash to take the project onwards and upwards. They wished to build an extended ‘new and improved’ website that better conveyed their offering, with a variety of marketing materials to match. Created in April 2015 with a £5m funding injection from the Ageing Better Programme by Big Lottery, Brightlife today is run by a dynamic team of over 50s for an audience of a similar age range. 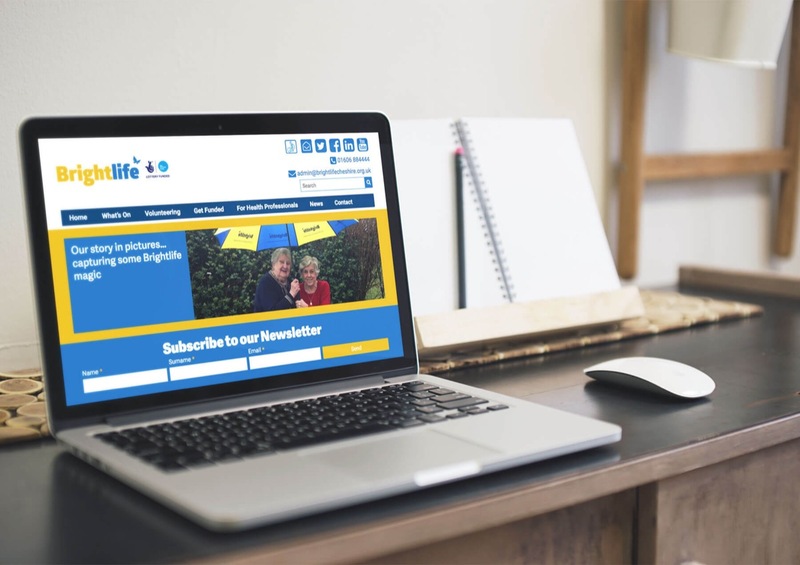 Working to promote independence for the aged and to reduce social isolation, Brightlife is an initiative to give individuals a sense of purpose and fulfilment. Led by Age UK and as a consortium of local public and third sector agencies, Brightlife relies on the support of local groups, volunteers and individuals to make this possible. 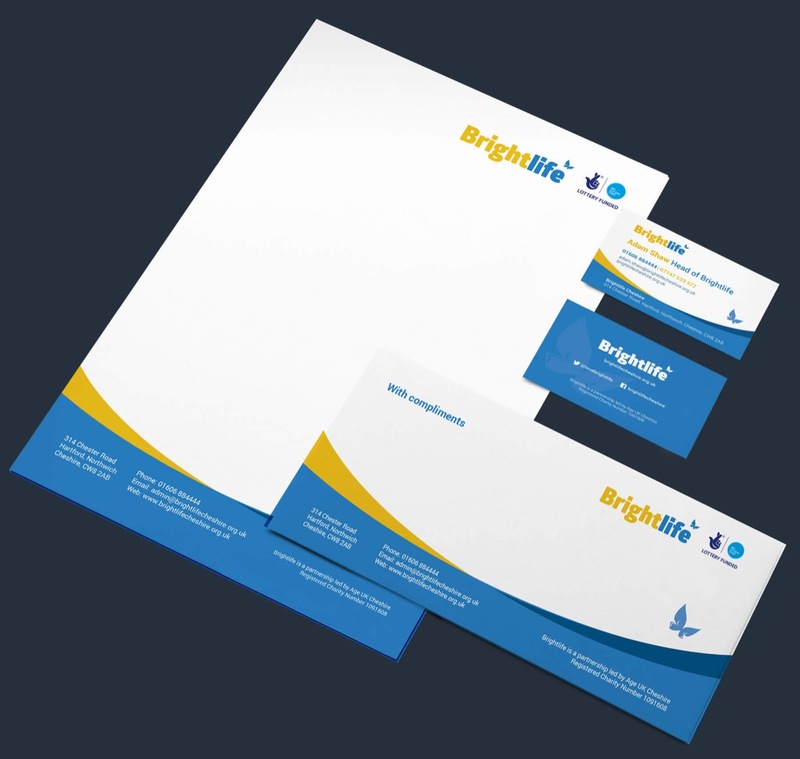 Striving to identify, design and implement a wide range of innovative solutions to reduce the risk of solitude, Brightlife has become a highly respected and reputed Cheshire charity. 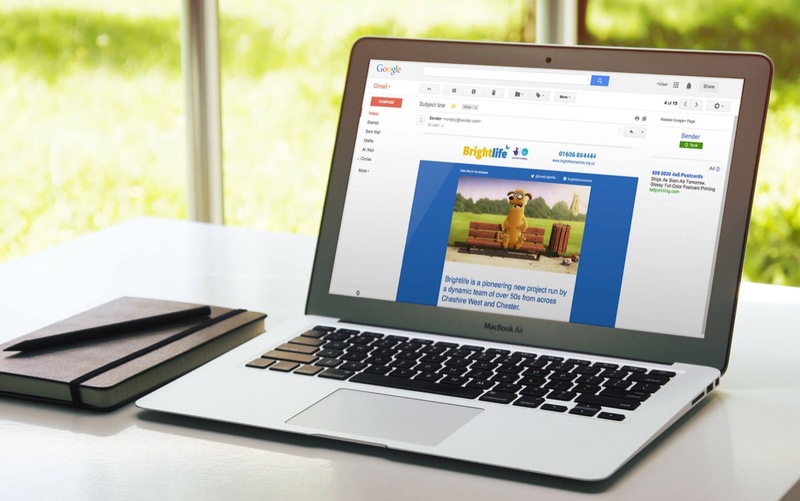 To view the website created by greensplash for Brightlife and for an overview of their services and mission, visit: www.brightlifecheshire.org.uk.